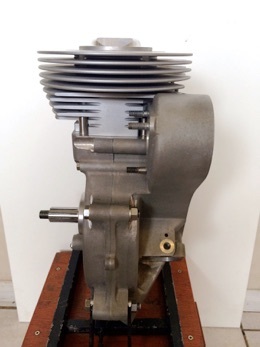 These photos are of the first dry build of the new 'Thurston' replica Thruxton Crank cases fitted with 86mm Squish piston, 100mm stroke flywheel assembly and 8" Billet Nikasil barrel. This is 3mm shorter than a standard Thruxton so will fit in the RS Frame without any problems. 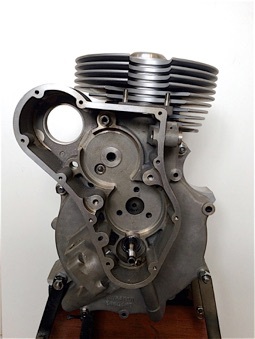 These crankcase castings incorporate strengthened areas around known weak spots in original manufacture by Velocette. 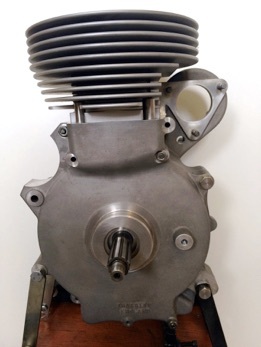 From a Customer about the new crankcases, March 2016 "Hello Kevin, I have received the Velo parts and I am very happy with it. Looking at the many pictures you have sent over the last 2 years, they haven’t shown the real perfection of the crankcases. For the first time I now understand the perfect craftsmanship you have shown to me. 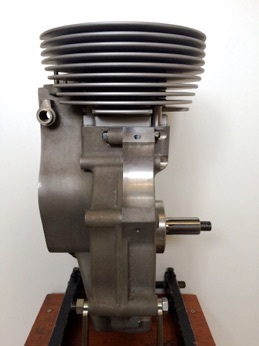 Looking forward to hear from you again about the Thruxton cylinder head.